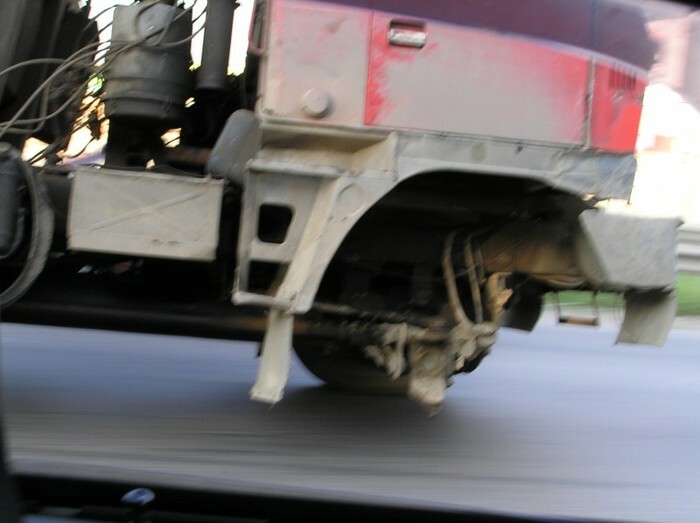 Yes, we had already photos of trucks missing one wheel on Russian roads, but they were without rear wheels. 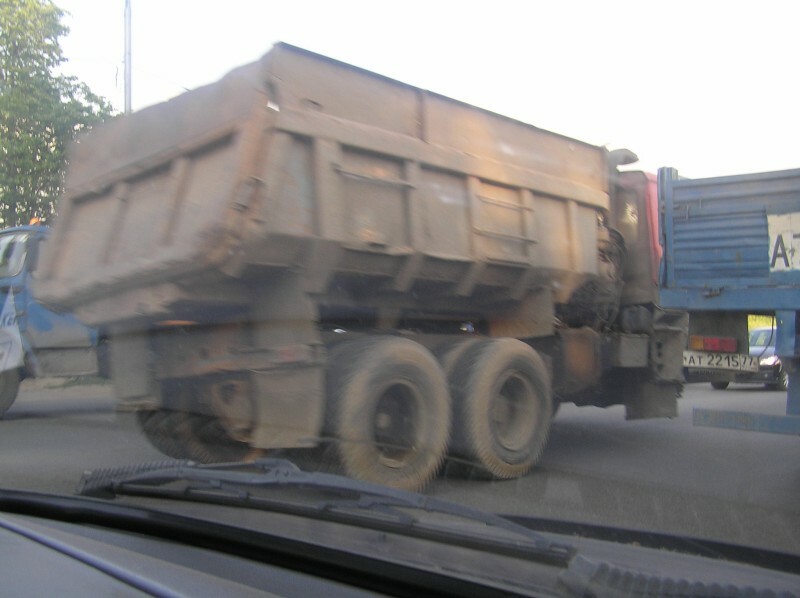 Now meet the Russian truck without a front wheel moving across a public road in the left lane. It seems that one wheel is enough to move, how about to turn? Yeah we already saw a truck without a wheel. This is Igors truck, I can not afford wheel cuz the police ask for to many bribes, if i do not pay, they beat me and beat my family and put them in the underground cave without food. in Romania I saw a lot of farm vehicles, especially tractors still working wihtout a well, some are specialy designed to do so in case they have a flat tire or a problem with the hub. romanian tractors have this ability. any vehicle with a solid axle can drive down the road on one wheel, I have done it myself driving a JCB.